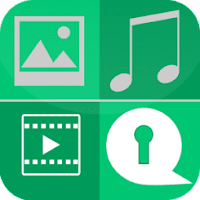 Hide Files is a Best Utility App to Hide Your Pictures,Video,Music,Files.Now You not worry about that your Friends or Family Member access Your Phone.because All files will be Hide and secure. All Pictures,Videos Music and Files Will be Secure Because application is Password Protected.Without Password No once can access Your Secure Media. There is a lot of Features in the application. - High Level Password Protection. - Hide Pictures,Video,Music and Files. - View Pictures From the Application Directly. - In Case of forgot Password You can Reset With the Given Option. Disclaimer: Please Before Deleting This Application Unhide your all Pictures,video,Music or all other Documents.otherwise they may be Deleted Permanently .